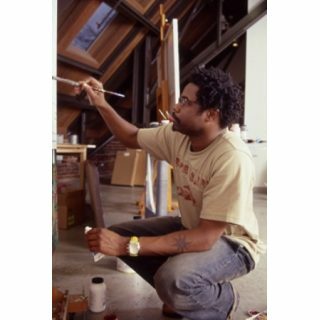 Cedric Smith is an African American artistic painter. He was born in Philadelphia in 1970. He grew up in Thomaston, Georgia, where he moved with his family when he was a young boy. He currently resides in Atlanta, Georgia Business His first gallery show was at the Barbara Archer Gallery in Atlanta. Six of his images have been released as posters by publisher Image Conscious of San Francisco. 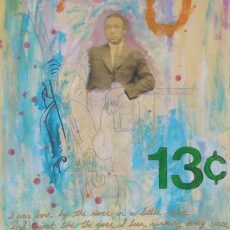 Cedric Smith is a self-taught painter and photographer who draws on a wide range of influences and sources, traditional and contemporary, to express his poignant observations of African-American life in the rural south. These include landscape art, pop art, brand advertising and especially photography, either his own, vintage images, or a combination of the two. Much of the Philadelphia-born, Atlanta-based artist's work is inspired by an observation from his childhood: the complete absence of African-Americans in advertising and on the labels of popular brands during that and earlier times. The artist’s collection of vintage photographs provides the foreground for a related topic he is documenting: that of the disappearing black culture of the South. Juxtaposing historical imagery with contemporary settings, Smith often re-photographs these old portraits in everyday locations, each snapshot creating a direct dialogue between past and present realities, providing an enduring narrative that continues into this century. Smith’s concept behind the addition of found vintage photographs evoke an extraordinary sense of longing and loss as he makes us contemplate how the subject’s life could have been altered by a different set of circumstances. Cedric Smith has received extensive critical acclaim for his work both in the US and abroad.